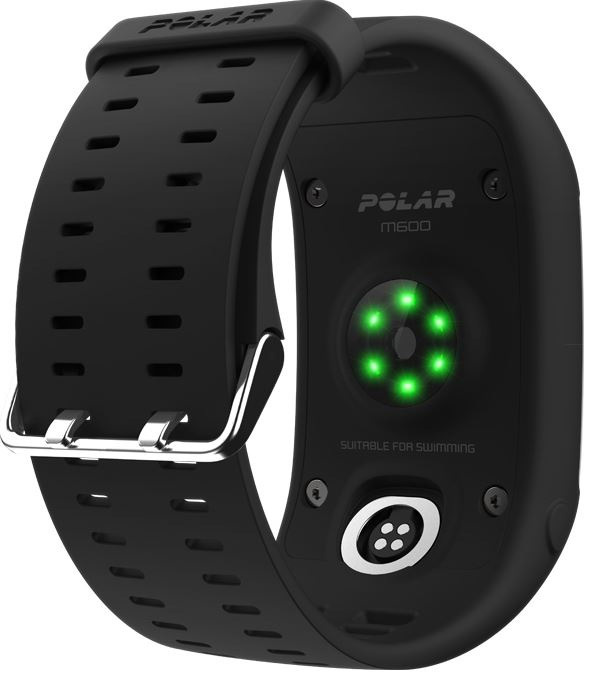 Summary: The Polar M600 is a great hybrid of activity tracker meets GPS meets smart watch! 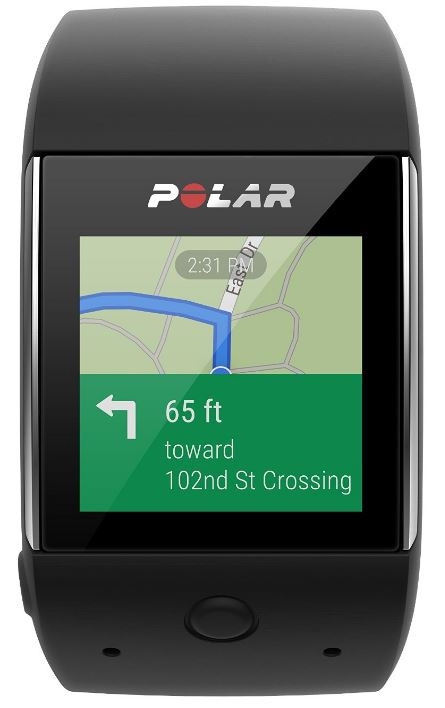 The M600 is Polar’s new GPS “smart” activity tracker which successfully implements smartwatch technology into the product thanks to Android Wear 2.0. In essence, the M600 is basically the successor of the M400 with a wealth of new features in order to target your health and fitness in one accessible product. It’s also quite a well-designed and sturdy product which is needed when you give it 110% during exercise. 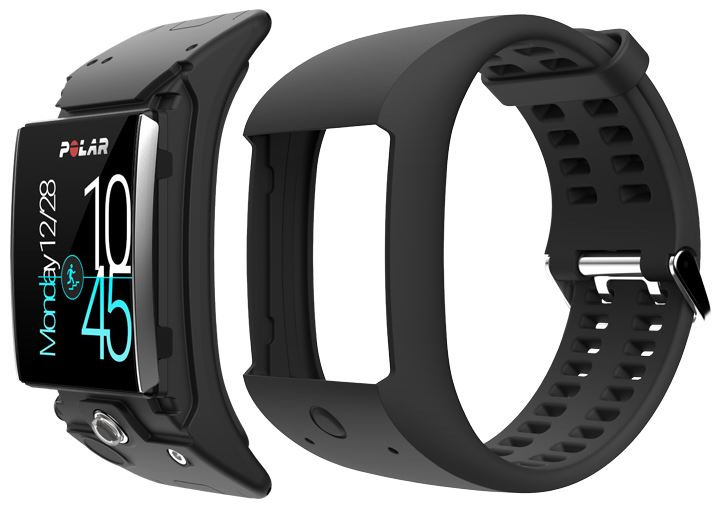 Furthermore, the 500mAH battery on this product boasts around 2 days of usage and a very comfortable silicone band. As it’s a modular design, you can swap between other Polar bands. 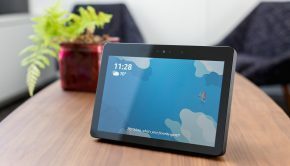 The product also supports both Android and iOS, however to get the most out of this product, I would recommend an Android smartphone and in my opinion, are a little better than Apple. Like other activity trackers, this smart watch hybrid supports the following sensors that include an accelerometer, ambient light sensor, gyroscope, vibration motor and microphone. 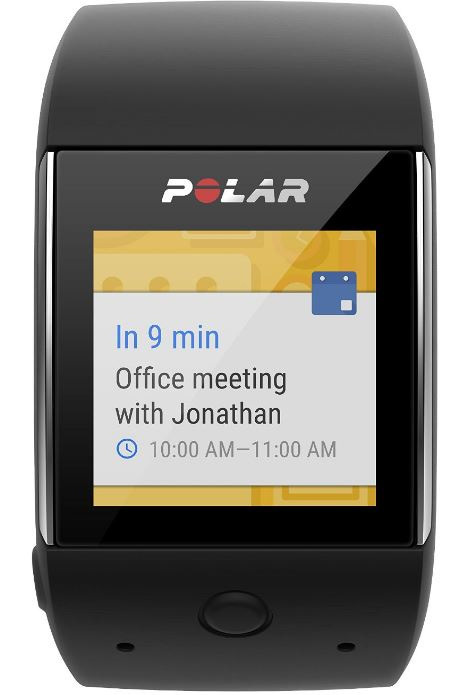 As the Polar M600 uses Android Wear, this allows you to install 3rd party applications on the sports watch which increases the usefulness of this watch. 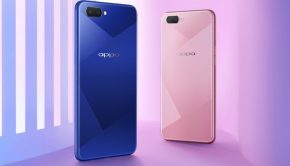 Furthermore, the M600 is waterproof (IPX8 up to 10m) which allows it to be used for swimming plus it boasts a generous and clear 1.3″ TFT screen (240×240 at 260dpi) with Corning Gorilla Glass for additional protection. 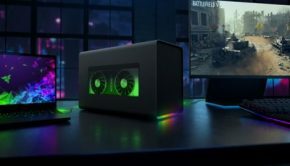 Another interesting feature is that the watch supports both Bluetooth 4.2 and Wi-Fi 802.11 b/g/n connectivity plus 4GB of storage which allows you to store music locally on the watch. Accessing the M600 is primary done through the touch screen plus the two physical buttons for ‘home’ just under the screen and ‘power’ on the left. In terms of weight, the M600 is quite light at just 63 grams which makes it the perfect product for everyday use. Given all the features of the M600, it does have a dual core 1.2GHz MediaTek processor plus 512MB of ram which makes this quite a fast product to use. The GPS on the M600 is a really decent feature which allows you to track your position while exercising which then gets relayed back to your smartphone. While using the GPS feature on the watch, it will give the user around 10 hours of battery life opposed to 2 days so without using this feature, the M600 is on par with other smartwatches. Although the design and interactivity of the watch is great, it does use a proprietary charger which does restrict charging options, especially if you’ve forgotten your charger. I also found the proprietary charger a little clunky as well. The optical HR sensor on the M600 has been redesigned to provide a more accurate reading thanks to its 6 LED sensors. Although a chest strap is still the way to go, wrist targeted heart trackers are getting better and the M600 is proving this. It should also be noted that the M600 only monitors your heart during exercise only. With some other activity trackers, you can glance at your heart rate so hopefully Polar will incorporate this into future products. Apart from the GPS functionality and as mentioned, the M600 features Android Wear which allows for third party apps to be installed on this sports watch which increases the useful of this product and makes it more than just a standard activity tracker. However besides third party apps, Android Wear allows for notifications to be pushed to the M600, including call information which is really handy while you’re exercising. Another point of difference to other activity trackers is that with Android Wear and thanks to voice control, it has the ability to use “OK Google” like “What is the Capital of Australia?” or “Start a Run” which once again minimises fiddly controls. On top of that and by adding in both voice and music control, it helps in keeping things streamlined and my favourite feature of Android Wear is the ability to reply to messages via the M600. As discussed earlier, music can be stored on the device itself but you need Bluetooth headphones to use this feature and if you have this, you don’t need your smartphone while exercising. During our tests, we did notice that if you are using the GPS feature and music playback, it does cut into your battery life but it should easily meet your exercise needs of around 6 hours. Furthermore, I found the GPS tracking quite accurate but on occasion it did get a little confused but for the majority of the time, the tracking was on par. Setting up the Polar M600 is quite an easy process and once it’s paired with your smartphone and network, you can then proceed to download Android Wear which is where the magic happens in relation to additional functionality of this sports watch. In relation to the screen, it’s quite clear and vibrant which can easily be seen in a variety of different light conditions but on a very bright day, it does make it a little tricky. If you don’t like the standard watch face, you can customise with plenty of different faces to choose. The responsiveness of the screen is quite good as you tap and scroll, including an auto-dim feature. 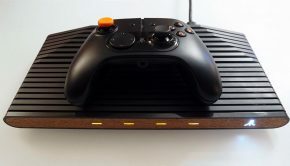 Just like previous models, by moving your wrist (e.g. like reading the time on a watch), it will activate the screen. For a quick snapshot of your exercises for the day, the M600 displays your highlights that include the number of steps, distance, calories and how far you are off your daily goal which can be tweaked to your current fitness level. 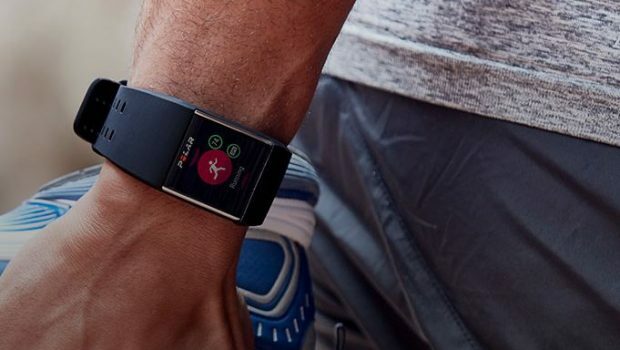 Also, like the A360, the Polar M600 supports a ‘multi-sports’ feature which allows you to monitor a variety of different exercises (up to 20) like running, riding a bike or even working out at the gym. I also enjoyed the fact that after running for example, it displays a summary that includes distance, time and pace. All this information is then relayed to the Polar Flow app which keeps all your health and fitness statistics that can also be accessed via the webpage. This really helps set your goals and future training regimes. In terms of the Polar Flow app, it’s easily one of the better fitness and monitoring apps available as it’s well structured and easy to use. 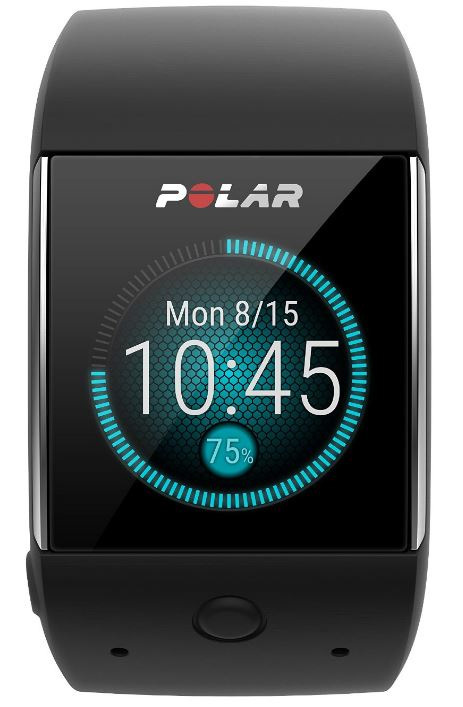 The Polar M600 is a great activity tracker that successfully implements a smart watch into its DNA. The battery life is on par with other smart watches but when it comes to exercising, the M600 definitely has the edge, particularly when linked with its GPS, more accurate heart rate monitor and voice command supports. The only drawback with the M600 is that Android Wear and depending on how you’ve set it up on your phone, it can become a drain on your smartphone battery but thankfully things are improving. Needless to say, navigating the sports element on the M600 is easy and all in all, both fitness professionals and amateurs could easily implement this product into their daily lives.